Happy Tuesday !!! A big thanks to you guys ” Jennyandteddy fan ” for a warm welcome back to the blogland either by email, facebook comment and blog comment. So, today. 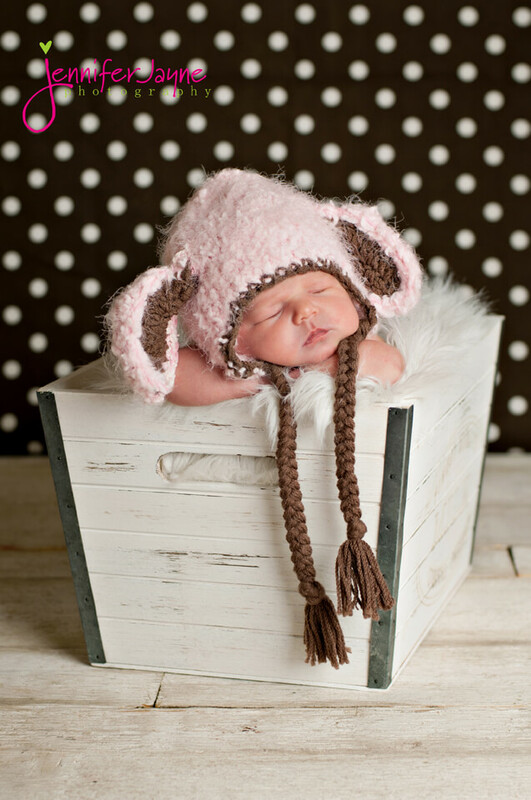 I am very happy to share something Pink, sweet and adorable with you! 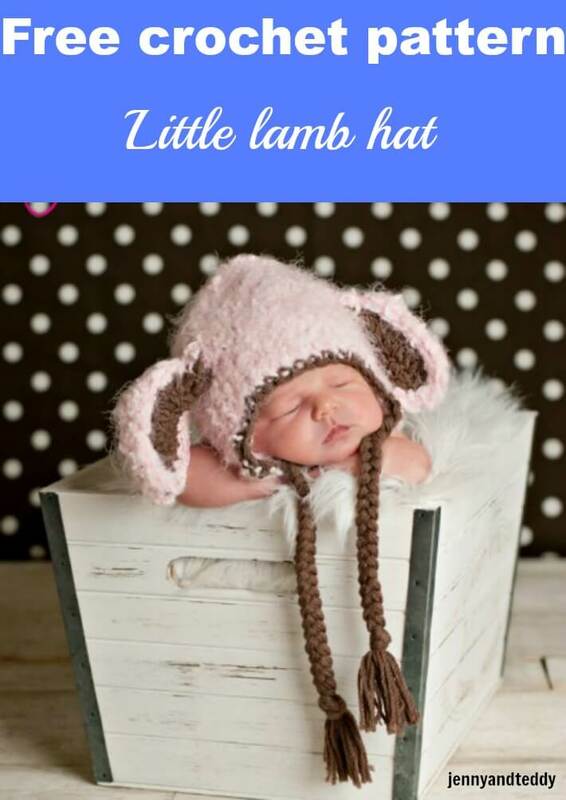 Well…..It’s a little lamb crochet hat. 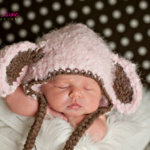 This hat was inspired by the pinky lamb free amigurumi pattern of mine. 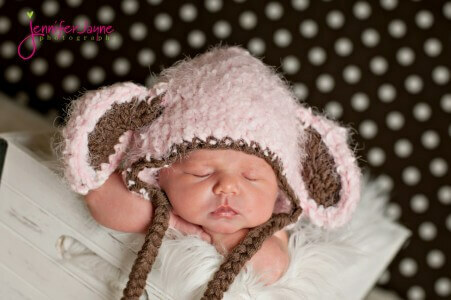 I enjoyed crocheting this cute little lamb hat so much. I know you would too! This hat so simple to make and you guys can whip this up so quick. 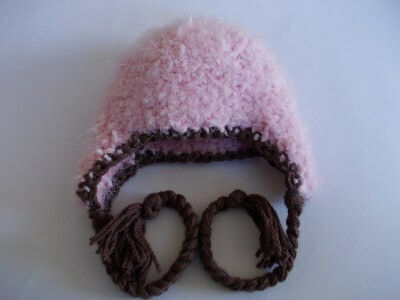 The yarn That I used to crochet this hat is fluffy yarn and one strand of pink contton yarn together. This way will be easily to count and see the stitch. Special thanks to Jennifer Jayne for this super photo! 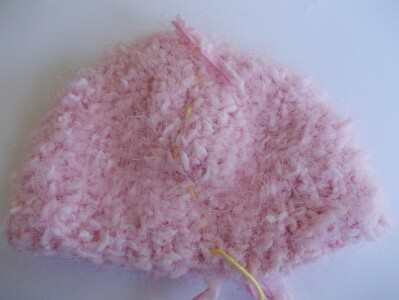 MC1 (Pink): ( funfur yarn) 1 skien of yarn to be use 50 grams/60 meters. Sample using WISP Brand Moda Vera Parade 100% soft nylon. CC: (shown here in Brown colour): 1 skien of yarn 100 grams/230 meters 8ply 100% acrylic, Held double. We need 2 skien of them to be able to hold double. 1. In this pattern, you will work in the round continuously. You may use a removable stitch marker or a short piece of yarn of contrasting colour to mark the beginning of each round. At the end of each round, you will not join, but begin the next round in the next stitch. 2. The stitch counts at the end of each round are given. Hat body (all size) with MC1 and MC2 held together. Round8-14. sc in each st around (35 sts). Finish off. Round9-18. sc in each st around (40 sts). Finish off. Round11-20. sc in each st around (50 sts). Finish off. Join CC at any st along the edging with sl st and work sc the entire hat . Fasten off. Start with Ch10. Turn, sc in first chain from hook, sc in next chain, 2dc in next chain, 3dc in next chain, 3dc in next chain, dc in next chain, dc in next chain and sc in last 2 chain. Cut yarn, leaving a long tail for sewing. Ch1, hdc in each sts around the ear. Sew ears to the hat. 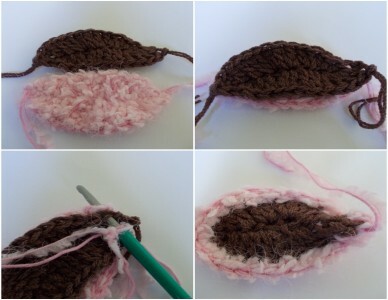 Attach ear by sewing using yarn needle. 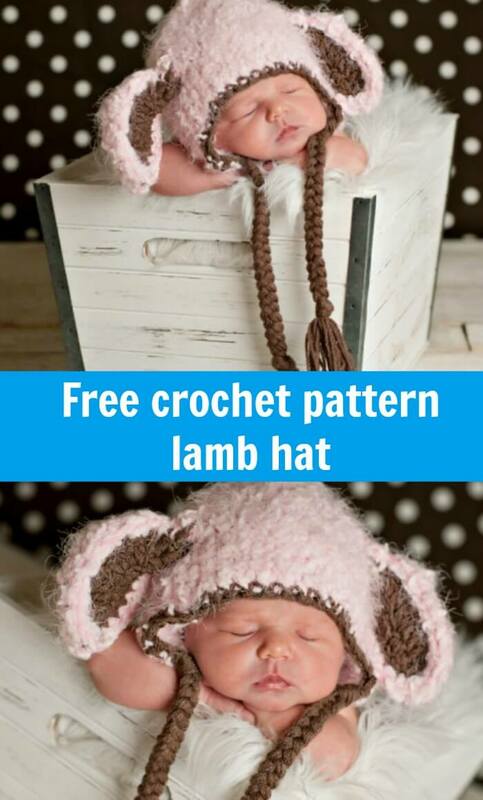 Want this Lamb crochet hat pattern in PDF download? Grab it for $1. Thanks for your kindness support. You just made my day! 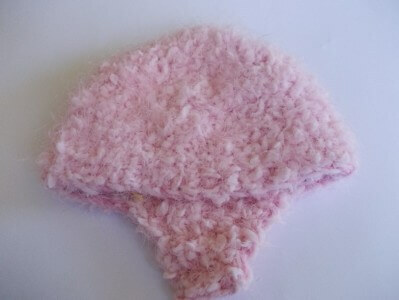 Cupcake crochet hat free pattern.